I am planning a few things for 2016, which hopefully will develop the community aspect of the Tree House as well as helping with our income. I read recently that if you change your mind a lot, it is a sign of creative genius. 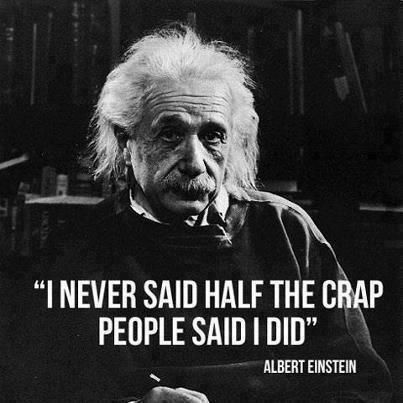 If so, I must be on a par with Einstein. I always just thought I was indecisive and easily swayed…but I prefer to think I might be a genius! In the first of a number of changes of mind from previous decisions, I have decided that instead of just supporting one or two charities we will have a charity of the month and raise funds during each month through events and promotions. The Film Club will be moving to Fridays, and the range of films will change slightly, in response to a bit of market research I did to see if we could do something to build up our film audiences a bit. Another change of mind – I was going to have a month off in January, as it is quite a lot of effort, and not many people come, but we’ve had such a poor month financially in December that I need to press on with anything that brings in a few pounds! Art History lectures will move to Thursdays, with some on Tuesdays too – both evening lectures. I will also be running some art history dayschools on Sundays. A few people have expressed interest in a course in art history, so I am putting one together. The Mail Order Book Club is gaining members, and I will keep promoting that, as it is good fun, people seem to be enjoying it. If you live locally and prefer to choose your own books, you can receive a monthly voucher instead – details of both schemes above. We have lots of great music booked, and the open mic evenings – the Treehouse Sessions – are going really well and will continue, and I am starting to book a few speakers to give a bit of variety from my art history talks! Keep an eye on our Events pages. We now have Tree House mugs, as well as our badges and fridge magnets, and I will be working on more merchandise as our fab logo, designed by paper cut artist Lisa Richards is worth exploiting! More details of all these things – and hopefully more – in due course. I am also planning to change the status of the Tree House from a limited company to a social enterprise, as this should help us financially as well as making our non-profit, community aspirations more transparent. What won’t change is the great stock of books and the chance of a cup of tea or coffee while you browse or read! Hope to see you at the bookshop soon.